When two students of Stanford University in early September 1998 founded their internet business, they were literally very cool and calculating. They had both gained substantial insight into how the World Wide Web works through education and experience. While studying for their PhDs they realised they could build a search engine far superior to any other. Google had arrived! At the time, Larry Page was looking for a subject to research for his PHd thesis in computing. He chose “Exploring the Mathematical Properties of the World Wide Web.” He wanted to understand the link structure of the internet and produce a massive graph. Encouraged by his supervisor Terry Winograd, the idea began to gather pace. Larry Page concluded from his research that valuable information could be extracted from a page based on the web pages providing links (backlinks) to a given page, and how often these links occurred. At this point the objective was not to build a business; it was a purely academic pursuit. Sergey Brin, a close friend of Larry Page and fellow Stanford student arrived on the scene at some point to assist in the research project “BackRub”. This project encapsulated the work Larry Page had been involved in with regard to analysing web pages. The next phase of the project would be the birth of perhaps, one of the greatest ideas ever envisaged on the internet. Some method was needed to convert the link data into a useful measure of importance for a given web page. Larry and Sergey worked together and developed a “PageRank” algorithm. This worked exactly as they had envisaged. In the process of chasing their academic dreams they realised something else. The algorithm could be used to build a search engine far superior to any currently in existence. Fast forward to September, 1998, and the private company was formed. The internet was about to be transformed. 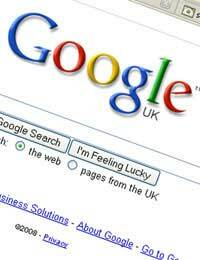 On 19th August 2004 Google was floated on the stock exchange, raising $1.67 billion. In actual value the net worth was $23 billion. Still number one as search engines go, pages are ranked by relevance. The word “relevance” is key to the concept of the big “G”, and goes way back to the original PageRank algorithm written by Larry Page and Sergey Brin. There are whole books on what is intended by “relevance” in terms of search engine optimisation. Since its inception, the search giant has developed new products, acquisitions and partnerships. Huge growth over the years has been aided and abetted by excellent employee relationships. Combine this with shrewd investments, numerous advertising products and provision of free software and you have a powerful organisation. A whole suite of internet products are available free on igoogle.com. There are recent rumours stating the Google may soon be offering their own internet space. This would involve subscribers only accessing a part of the internet owned by them. Until now, the internet has not been for sale. This may all be about to change. In terms of hard cash Larry Page’s net worth is currently $18.6 billion. Sergey Brin is worth $18.7 billion. Both Larry and Sergey are in the top 30 richest people in the world. Sergey is the fourth youngest billionaire in the world. The support of Stanford University in the early days. The mentors who supported both Larry Page and Sergey Brin in their research. In any success story there is always the element of “luck”. In this case it was lucky for the rest of us on the internet that Larry Page and Sergey Brin realised they had found a winner in their PageRank algorithm. What is Kevin Mitnick Famous for?